We also discuss related issues, including Zionist power in the US and UK; the Israelis’ and others’ use of miniature nuclear weapons; and the 9/11 nuclear demolition hypothesis, as explained in the VT Nuclear Education Series. This show was broadcast on May 28, 2017. 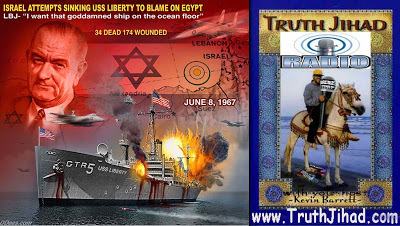 This entry was posted on Saturday, May 27th, 2017 at 9:42 am	and is filed under 9/11, Anti-War, Education, False Flag/Fake Terror, Freedom, Geopolitics, Justice, Kevin Barrett, News, Politics, Protest, War Crimes. You can follow any responses to this entry through the RSS 2.0 feed. Second hour, John Smith, former Labour leader, was a very decent man who I too believe was killed off to make way for the Rothschild puppet, sexual deviant, Tony Blair. Smith would have been a wonderful Prime Minister, a principled man, a true Christian. All this proves the despicable role of Jewish Zionists in the UK who dominate the British Government, MI5/6, the Judiciary’, the Media and all the Banks/major Corporations. British Police are trained by Israel as are the American, Canadian, Australian Police forces. Sorry Kevin, it is on correct to state that the majority of American Jews do not support Israel and its Land grab etc. The vast majority of Jews raise huge amounts of money every year to support Israel, its IDF soldiers, its Settlement expansion and so many do Aliyah to Israel, send their children there for holidays/Kibbutzim. After Russians/former Soviet Jews, Americans make up the next Jewish majority of Settlers in occupied Palestine. Please don’t deceive yourself into believing that the majority of world Jewry in the West, or those in the USA/UK oppose Israel and its Colonialist occupation. Israel would not have survived if it did not have moral, political, religious and financial support from Jews around the world and especially from American and British Jews who have the majority of Jewish Billionaires and Millionaires- Rothschilds, Oppenheimers, Adelson, Soros, Murdoch etc..